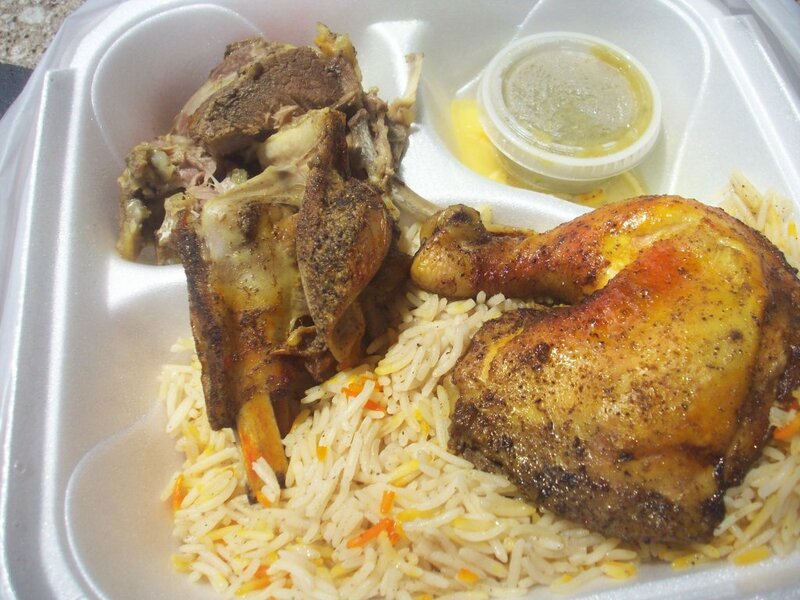 1 portion of chicken + 1 portion of lamb w/rice: $10.99. After picking up the Friday Special today, I walked over to the Clifton Library, which recently moved a few blocks, to Jefferson Avenue. The food was delish and succulent. 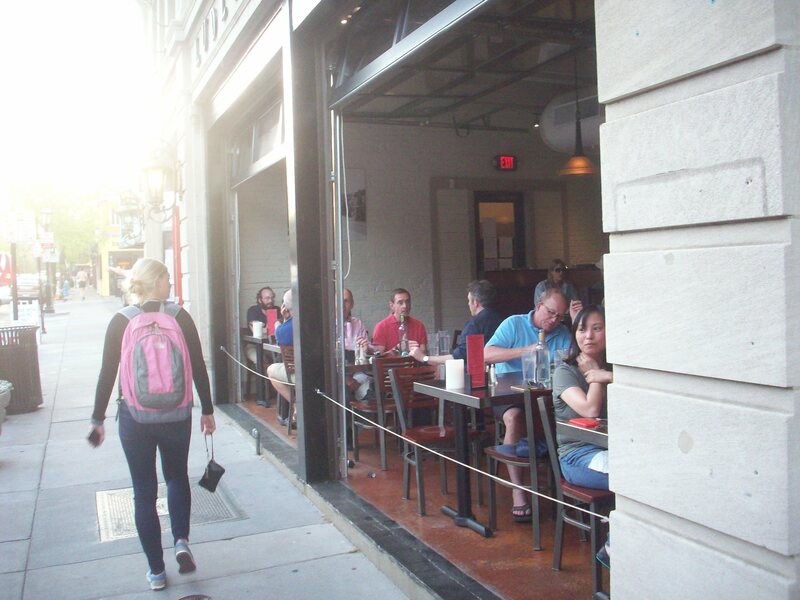 The Friday Special is available every Friday from 12:30pm to 8:00pm. If the special is successful enough, La Mandi will start running it other days as well. 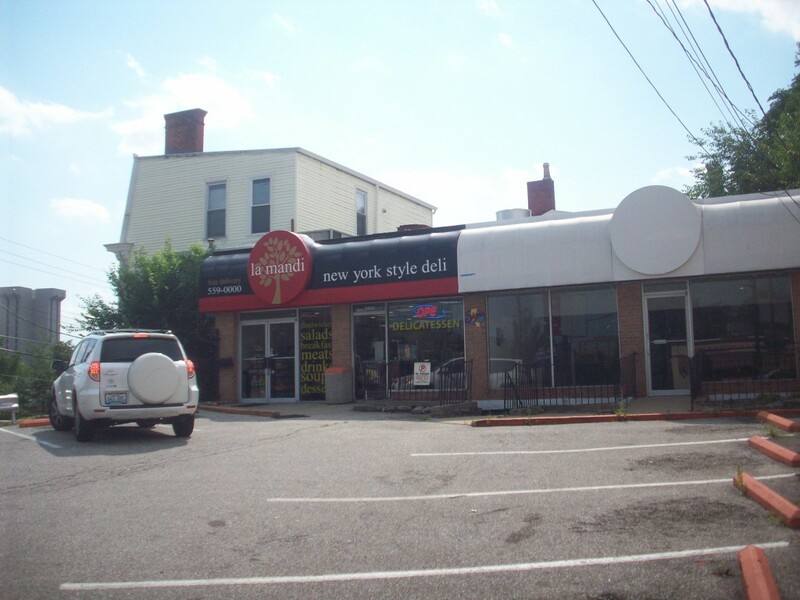 Hours are 8am to 8pm Monday through Saturday; the phone number is 513.559.0000, and you can call for carryout, delivery, or catering. 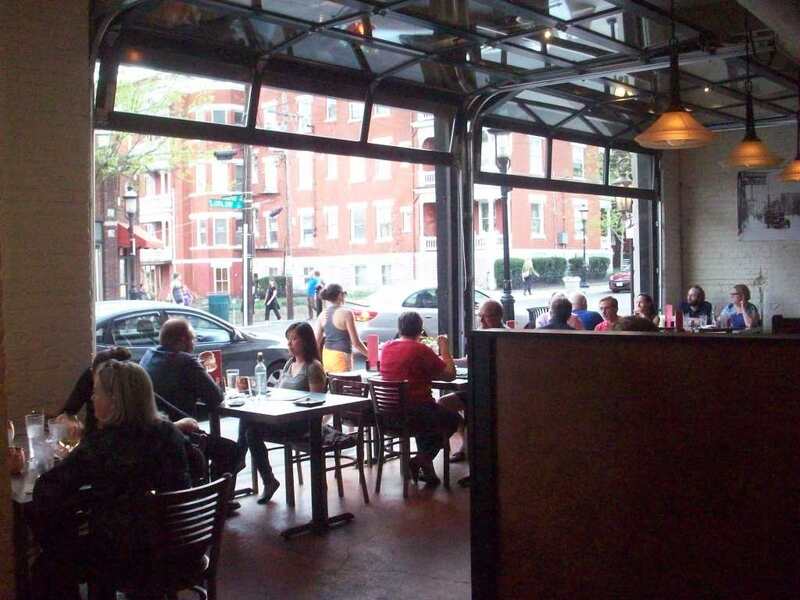 It’s great to see this new business having such success while adding fresh new reasons to pay them a visit—yet another reason Clifton is a great place to live! 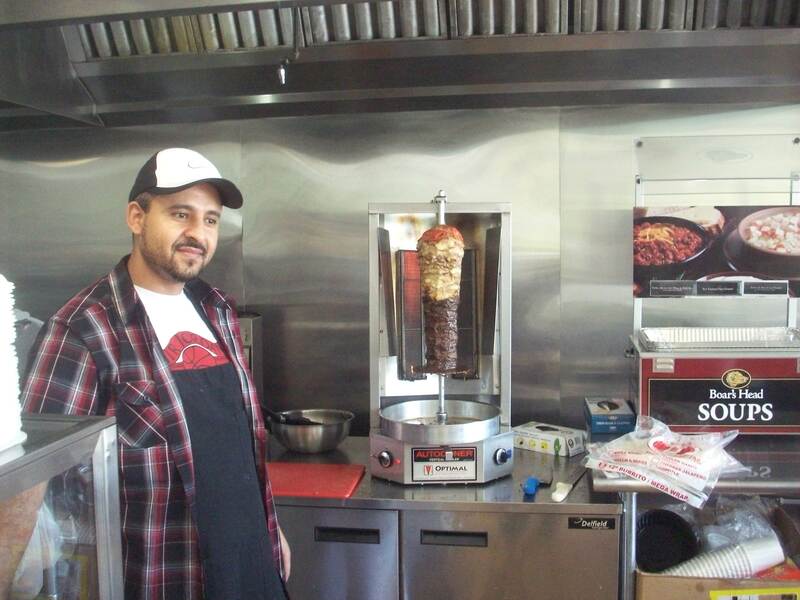 The owner of La Mandi, Mohammed Nahshal. This Sunday, May 1, from 1pm–5pm a rummage sale will take place at Clifton Plaza. The event is a fundraiser for CERESAV, a non-governmental organization created in order to fight acid violence, a sadly all-too-common occurrence in the world today. All proceeds from the sale will go to helping acid burn survivors. 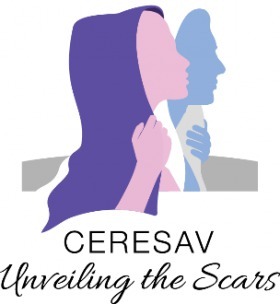 One of the great things about CERESAV is that since it was founded in 2012 it has had a real impact, so while acid violence is a horrible thing, definite steps have been taken to help survivors and, through the raising of awareness and legislation, decrease the likelihood of such attacks. More information about CERESAV is available on its website, http://ceresav.org/and on its facebook page, https://www.facebook.com/Ceresav-642738575861208/?fref=ts. If you’re interested in donating items to the sale, CERESAV encourages you to email info@ceresav.org by Friday. Having attended their rummage sale last year, I can say that A LOT of people donate to this sale, and there was a huge, wide variety of stuff—I bought everything from a flat-screen computer monitor to some skinny 1950s ties. In other words, you don’t know what you’ll find there, plus it’s a chance for the neighborhood to show some support for a really good cause. See you on Sunday! Invariably beer lovers will wonder what kind of beer Ludlow Garage on tap, and for that reason I took a photo last night. 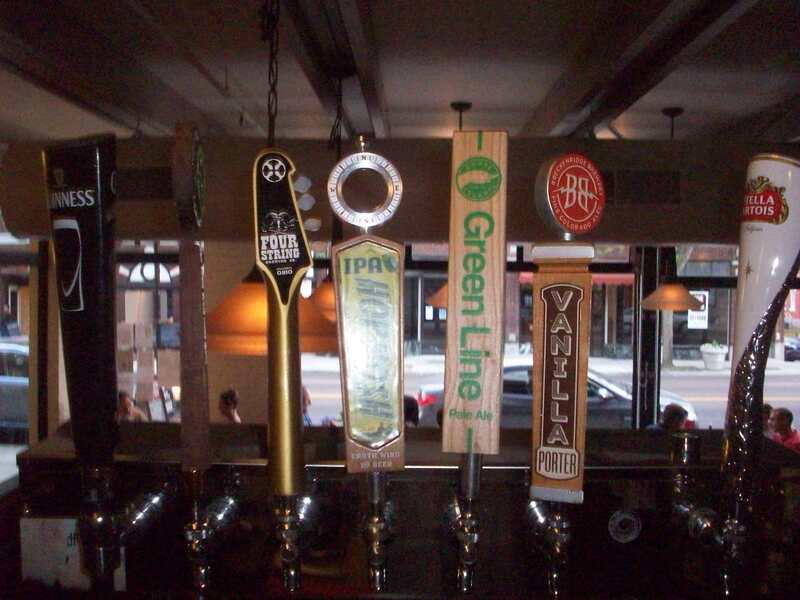 Note, on the right, that Stella Artois is now part of their arsenal, along with Guiness way on the left and various craft beers in between. And don’t overlook the cocktail specials on Thursdays and Fridays. 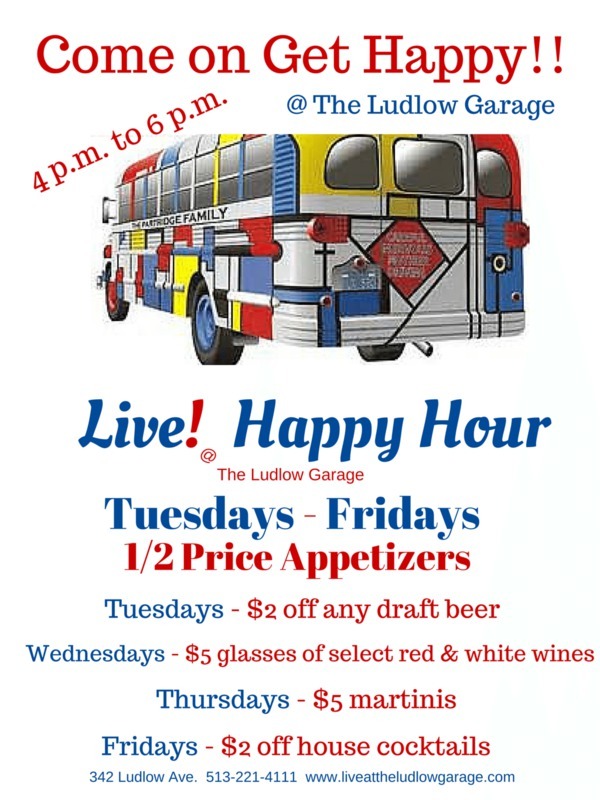 Although I’ve sipped a couple cocktails at the Ludlow Garage, this warrants some in-depth investigative journalism; I’ll take careful notes in case I forget something. 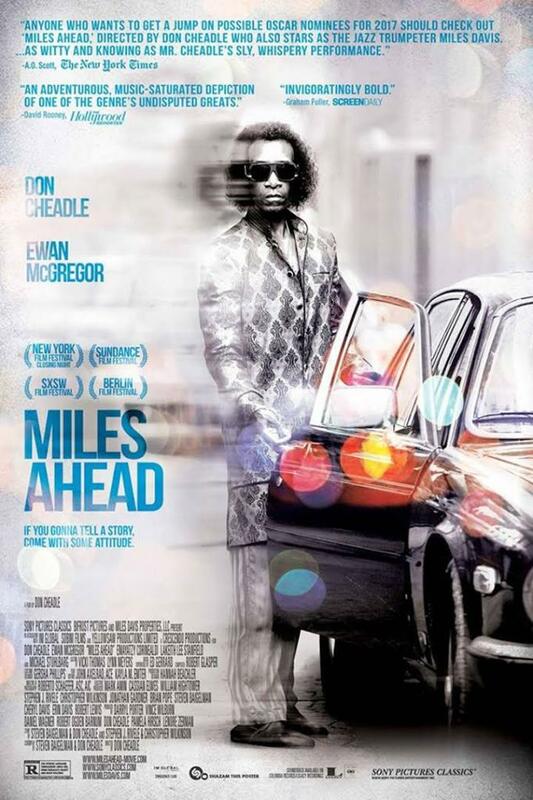 The Miles Davis biopic Miles Ahead opens at the Esquire Theatre on Friday, April 15. Cincinnati should feel privileged and proud that it’s the backdrop for the film, in large part because it built—and preserved, more than most cities–the classic architecture that has film makers lining up to shoot movies here. And the story should be as colorful as the threads that Miles sports as he hops around in a sports car trying to recover a purloined reel of tape, gun ready, dark shades covering his eyes. I don’t know that a movie could have picked a better period in the life of Miles Davis to examine. It was the one time he disappeared. 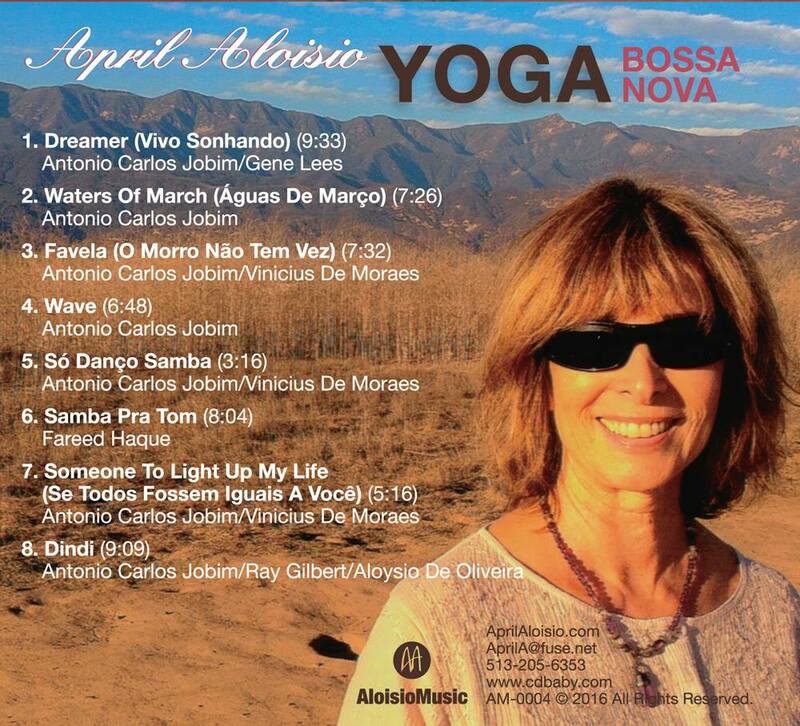 No records, no concerts, and a whole lot of silence. Miles had entered that limbo where Chet Baker, Sonny Rollins, Bud Powell, Art Pepper, and other great jazz musicians once resided, with drugs, drinking, artistic burnout, jail time, and asylum visits sometimes playing a role in such matters. What weighed down Miles was a combination of drugs, health problems that weren’t lifestyle related, and the fact that the music he was playing wasn’t connecting with an audiences because it was too far ahead of its time; now all people can do is rave about albums like Agharta and Dark Magus. So he disappeared. Away from the stage and the studio, a jazz musician who had been so busy reinventing himself and his music that reflecting on the past was not on his list of options looked back. Those flashbacks in the film seem like they’ll be more than a device, then: for once, during that period between 1975 and 1979, Miles could take stock of his life to date – and get that damn tape back. 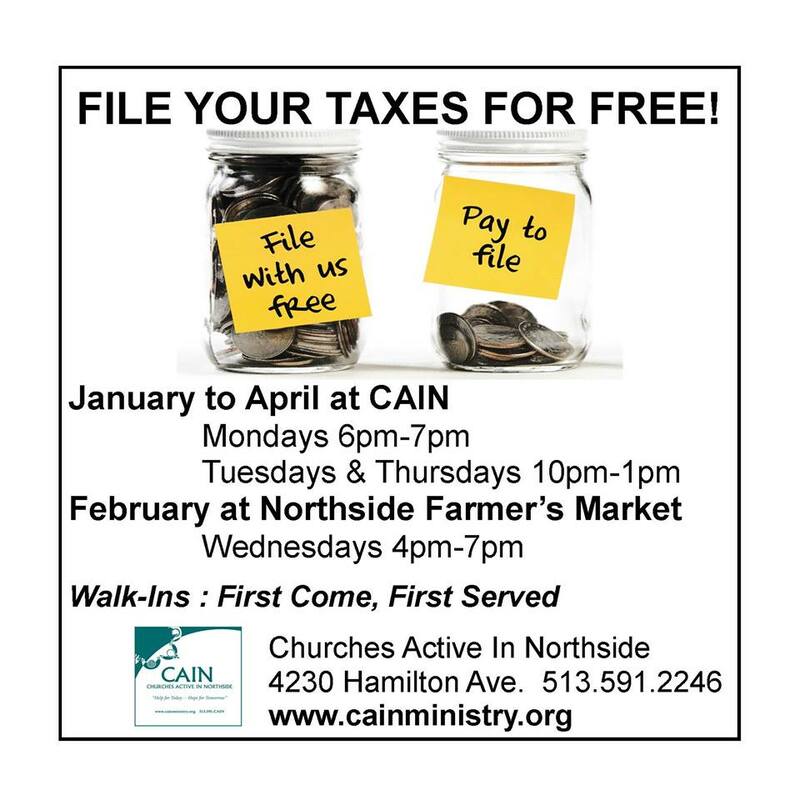 On the off-chance (wink wink) that there’s anyone reading this blog entry who hasn’t done their taxes yet, I have good news: CAIN (which stands for Churches Active In Northside) is providing free walk-in service to help people file their taxes. CAIN is located at 4230 Hamilton Avenue, and Ohio Benefit Bank tax counselors are there Monday evenings from 6-7pm, and Tuesdays and Thursdays from 10am–1pm. All sessions are first come, first served. Those interested in using this service will need to bring their W-2s or other tax forms, an ID and social security card, and the information they will need to have their refund direct deposited. It is also ideal to bring the previous year’s taxes, if possible. CAIN wants you to KEEP YOUR WHOLE REFUND and take advantage of the Earned Income Tax Credit. Some childless individuals making under $14,000, or families making under $53,000, can qualify to get supplemental income in the form of a “tax credit.” One in five families who are eligible for the EITC fail to claim it, and as a result they miss out on potentially thousands of dollars. Also, people earning under $65,000 per year as an individual or $95,000 as a couple are eligible to e-file their taxes for free through the Ohio Benefit Bank easy to use guided system. Use CAIN’s link to the Ohio Benefit Bank’s self-serve system https://selfserve.thebenefitbank.org/ums?partner_code=424 or go to www.cainministry.org and click on E-FILE box on home page. If you have any questions, just stop by CAIN during the above hours, or call CAIN 513-591-2246 or email Monica at graceplace2@cainministry.org.